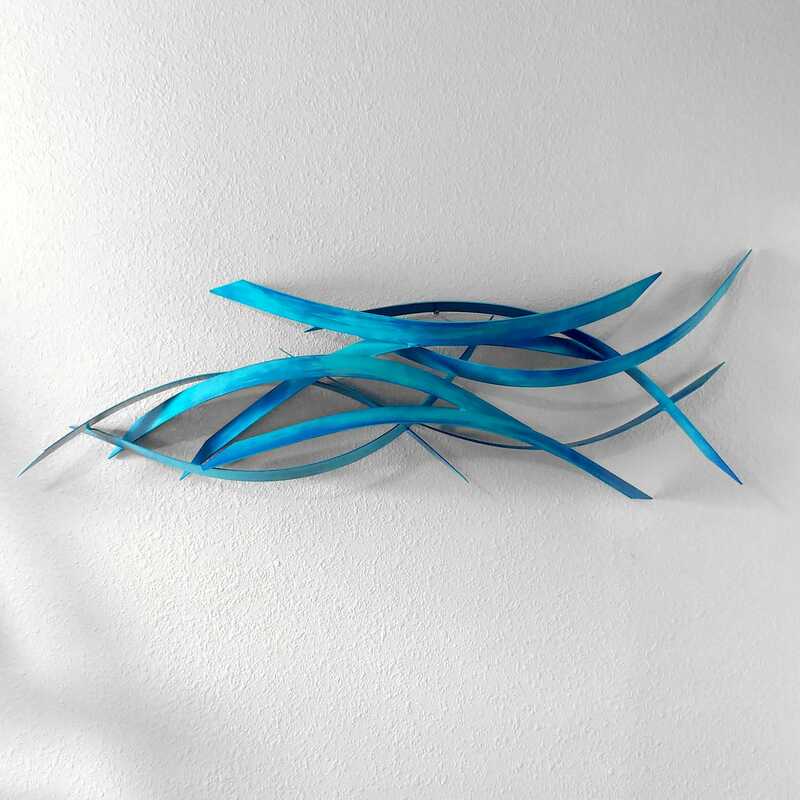 Crosswinds is an exclusive metal teal wall sculpture design by Dustin Miller with significant dimension. 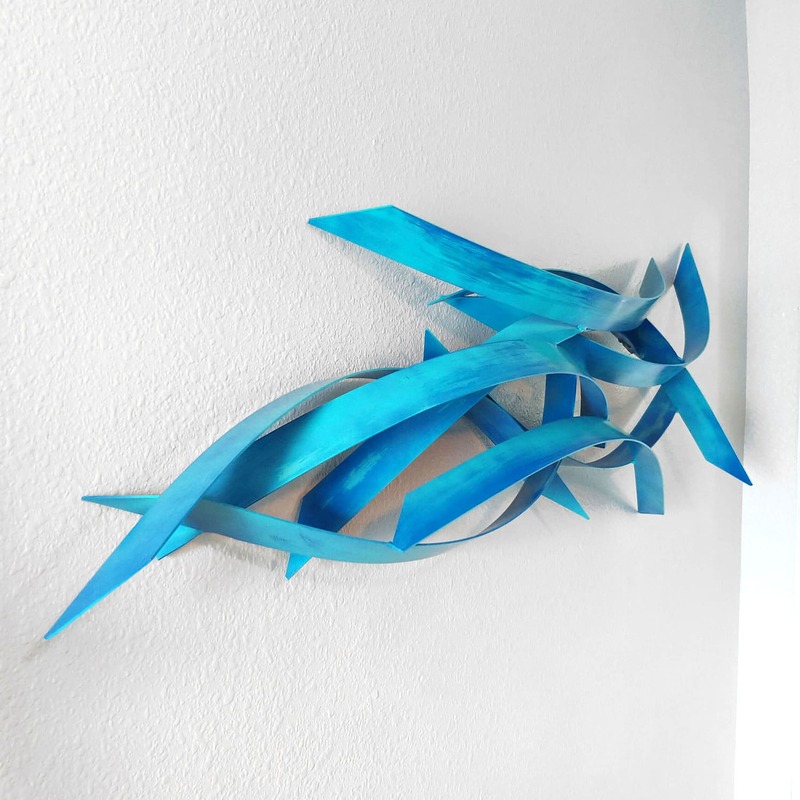 Every sculpture is unique, and none are the exact same. 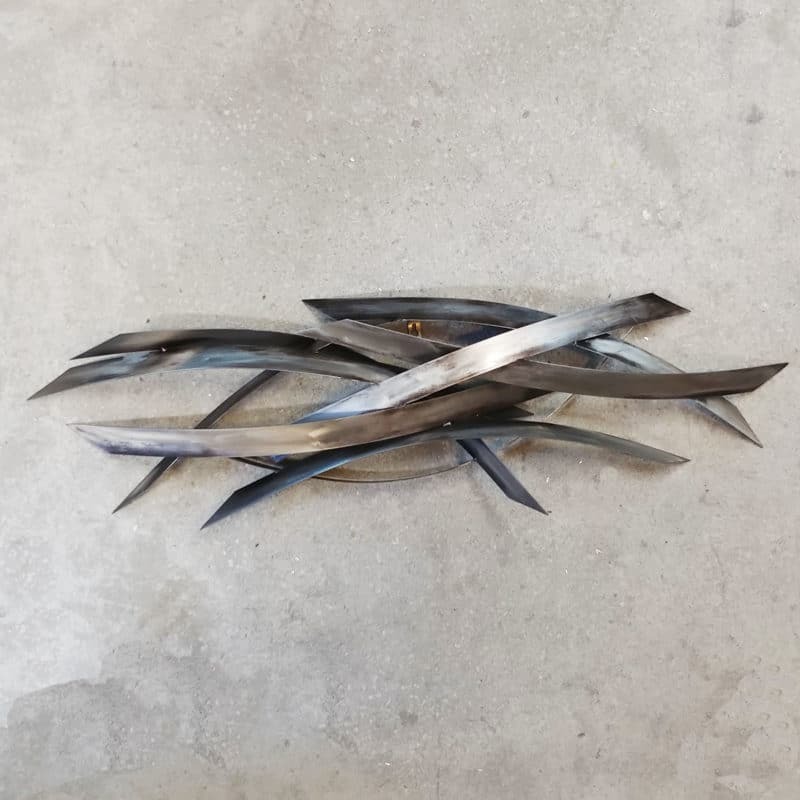 This piece pops from the surface and has curved pieces of stainless steel welded and coated to create a dynamic look from multiple angles. 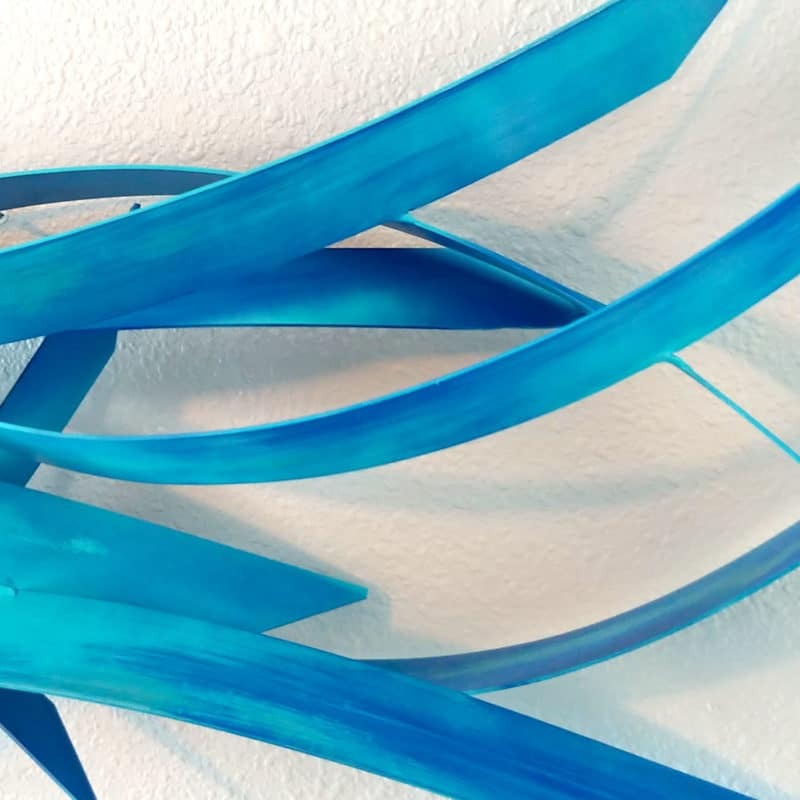 The finish is a weathered blue with tones of teal. Hangs on your wall very easily with a custom made mounting bracket for quick installation. 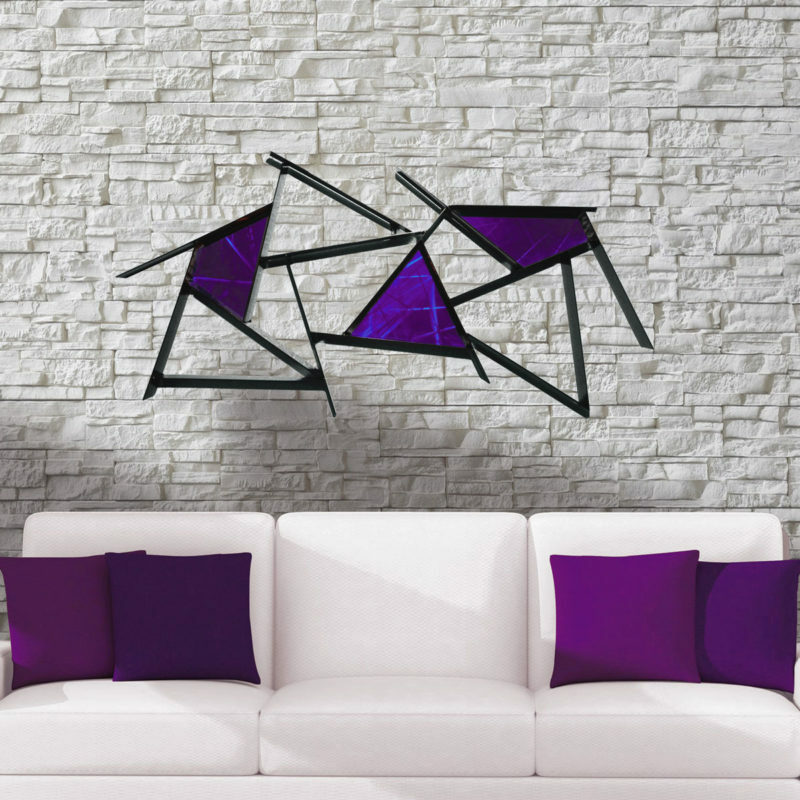 It is a great way to fill your space with a modern masterpiece. 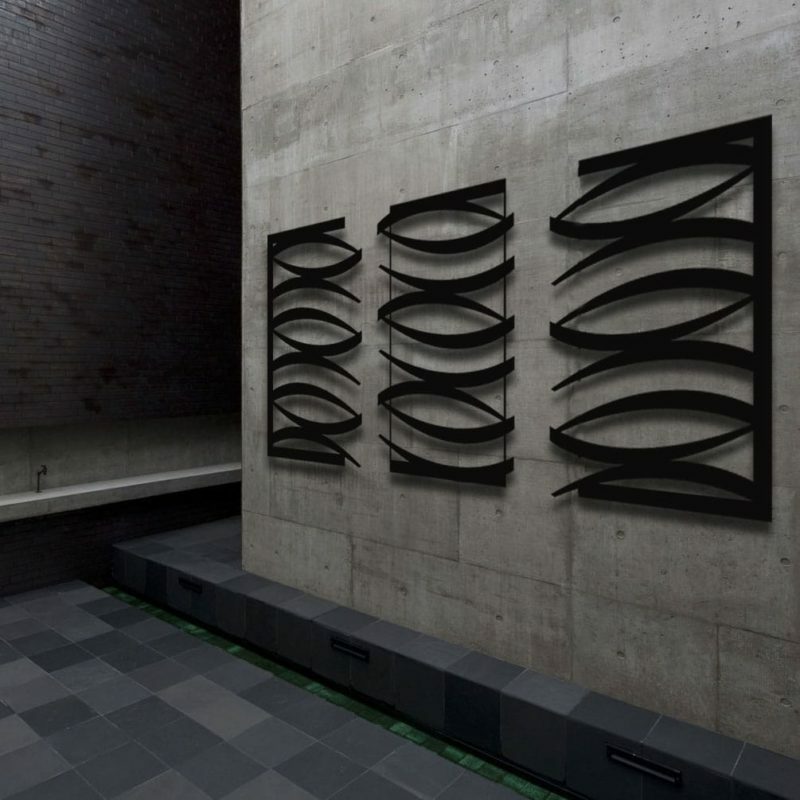 The sculpture changes shape with every angle that it is viewed from. 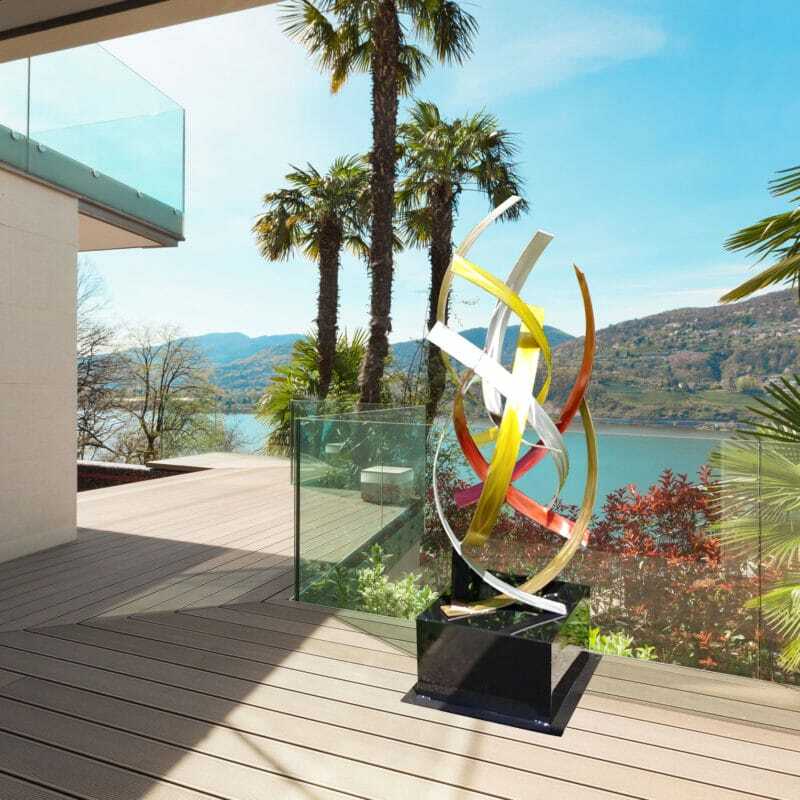 Made from 100% rust resistant stainless steel suitable for outdoors.